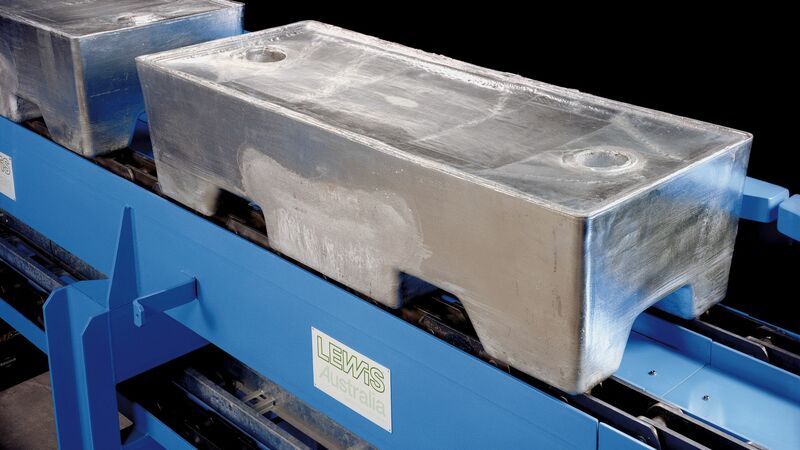 The Lewis Zinc Block caster has redefined large format zinc casting. Our machines are fully automated and deliver the worlds best quality at speeds in excess of 35tph. 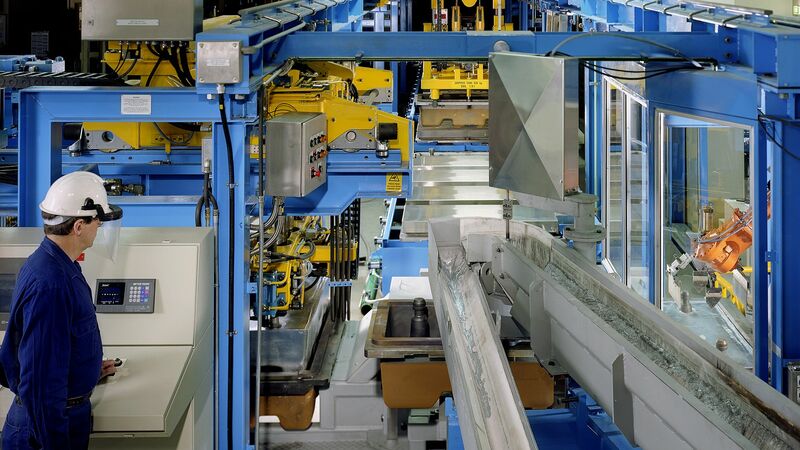 They can produce multiple block types and alloys requiring only a single fork truck operator to unload the machine. Our block casters deliver the worlds best quality blocks and jumbos. Blocks are poured to within 5kg accuracy with less than 1kg of dross per tonne cast. 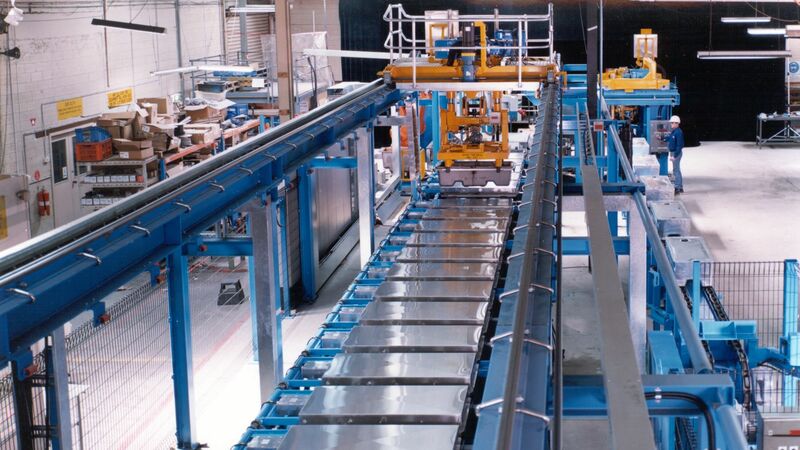 Robotic skimming followed by bottom up cooling with top heating gives perfect mirror finish level product every time. Splits cracks and voids are a thing of the past as is finning and flashing. Full automation delivers the safest zinc caster in the world. Pouring, skimming, cooling, demoulding, weighing, marking and accumulation are automated leaving no exposure of any personnel to hazards.